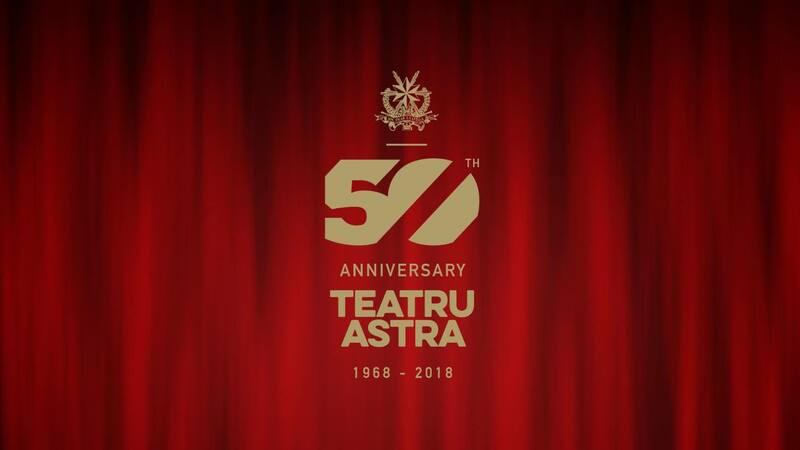 Teatru Astra is celebrating the 50th anniversary since its official inauguration as the prime cultural complex on the island on January 20, 1968. The high expectations have not only been met along the years, with the spacious Astra boards offering high end wide spectrum of entertainment, ranging from the light to the classical, but happily surpassed. Local talent rubbed shoulders with international artists of note to offer high powered representations which put Gozo on the global map regarding show business. Indeed, nothing succeeds like success. Teatru Astra can rightly claim to be the defining point in the local milieu turning Gozo from nowhere into somewhere when it comes to multi-faceted high-calibre cultural offerings. One can say that 1968 was a happy year for Gozo in general and Victoria in particular. This is not to say that pre-1968 there was nothing going on. This is to say that the new premises, hitherto unmatched on the island, offered the appropriate space for things to happen on a new scale. In fact the oldest legally instituted band on the island, the La Stella Vincitrice, had been a trailblazer throughout the previous era. The La Stella Philharmonic Society had in fact been instrumental in introducing to the public diverse genres of musical entertainment not least the much loved operetta. With the inauguration of the Teatru Astra's acoustically perfect auditorium making it the best venue of its kind in the Maltese islands, productions could reach hitherto unscaled heights tout-court. The patrons could enjoy productions such as The Merry Widow, La Principessa della Czardas, The Gondoliers, The Great Waltz, Geisha, just to name a number of the numerous operettas staged, as well literary masterpieces by Goldoni (Il Bugiardo), Feydeau (Il Cappello di Paglia di Firenze), Moliere (Le Malade Imaginaire), Shakespeare (The Merchant of Venice) and a host of other plays making the Teatru Astra a byword for excellence in the field. Visiting companies featured prominently and practically all the major companies in Malta were billed to perform some time or other. These leading Malta companies staged such operettas as Die Fleremaus, The Gypsy Baron, Orpheus in the Underworld, Calamity Jane, plays such as View from the Bridge, Processo a Gesu' and so on. Perhaps the greatest contribution which Teatru Astra has made has been in the world of opera. Setting off to a flying start with such opera legends as Aldo Protti and Nicola Rossi Lemeni there was no question of stopping. In fact after three decades, opera at the Astra has reached truly international standards with memorable productions mixing the best of local talent with top of the range artists. Teatru Astra is justly proud to have launched the meteoric career of Joseph Calleja when he was called by Prof. Mro Joseph Vella, resident conductor, to interpret the role of Macduff in Macbeth at the age of 19. Landmark productions of Aida, Turandot, Macbeth, Otello, Boheme, La Traviata, Lucia di Lamermoor, Norma, La Gioconda, among others have proved that size really does not matter when it comes to reaching high peaks. What matters is talent and the will to never rest on one's laurels. These recent years, Teatru Astra has ventured into the world of the Musicals. Adopting the same rigorous standards which have been the salient characteristics of the theatre, it is not far off the mark to observe that the productions of Grease and Evita would have graced any West End theatre. This year Lloyd Webber's Jesus Christ Superstar is being staged. The ethos which has sustained the La Stella Philharmonic Society throughout the years, namely the undiminishing strive for perfection in the diversification of the cultural product, has yielded sterling results. The Teatru is committed to intensify its efforts to ensure that the standards achieved, not only will be maintained, but surpassed.